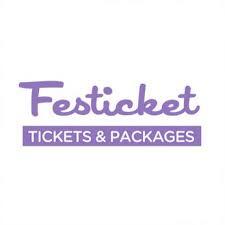 Find here the best Festicket coupons, deals and vouchers. We’re working with more than 1000 festivals, across more than 50 countries. Our platform is available in 7 languages, 11 currencies and is visited by 1,500,000 unique visitors each month. We have more than 3000 Hotel Partners and we offer 20 000 packages. Everything started in April 2011, when Zack, Jonathan and Jerome – long-time friends – wanted to organise a group trip to the world famous festival, Coachella. They asked themselves essential questions: “Should we go camping, or stay at a hotel?”, “Is this hostel convenient? Does it provide the best value for money?”, “Should we go for the VIP ticket or the General Admission one?”, and “Should we book local transportation?”. The planning and booking process was painful, time consuming and very expensive! Book now your festival tickets, accommodation, transfers and extras in just a few clicks!